It's still sweater weather and about this time of year I need a refresh on my closet. I love my sweaters, but midway (hopefully) through winter I need to add a couple to reinvigorate my drawers. Right now I love boucle sweaters. They are a fun throwback that are so ridiculously comfortable that you can't not love them. 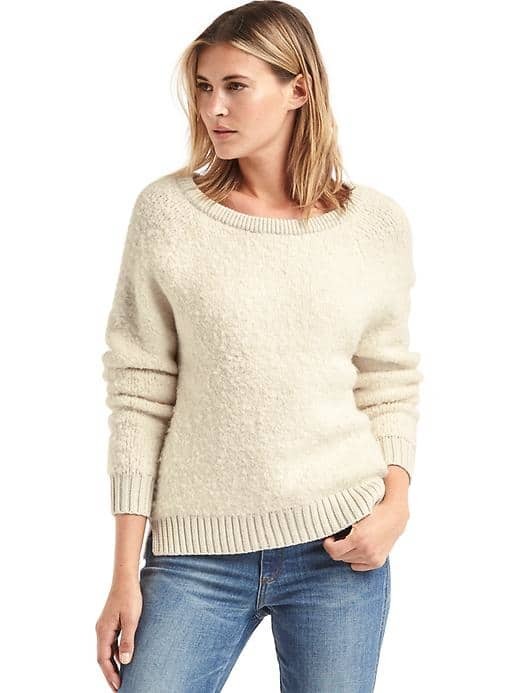 A cozy throwover sweater for under twenty bucks? Sign me up. 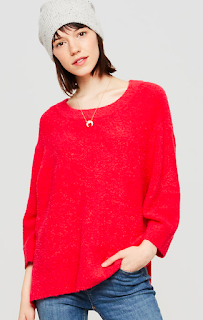 Great relaxed neckline makes this sweater easy to dress down with jeans or leggings. Could this girl be more casual cool? I think not. And this sweater is half off. And now for a baby blue. So soft and sweet. I love this with plaid. 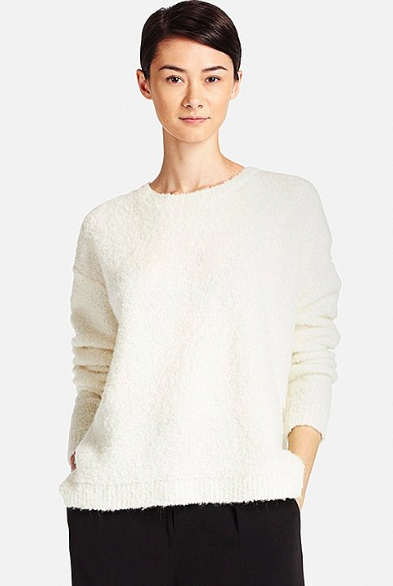 Boucle's long loops give it a cozy, almost chenille texture. This makes for maximum comfort.